Go to www.snaptubeapp.com, click on Download. If your browser pops up a windows, click on OK; if there’s no popup, the download will start automatically. If you can't see download list of Browser, Please drag-down the top of the screen(notification bar). Then you can see the downloaded Snaptube, click it to install. (First time only) If you’re seeing this page (Install blocked).Please click Settings and go to Security (Settings > Security). 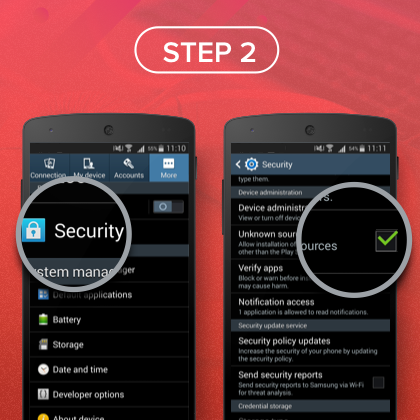 (First time only) Turn on Unknown sources, this step enables you to install apps out of Google Play.After click OK to turn on Unknown sources, you could move to Downloads. 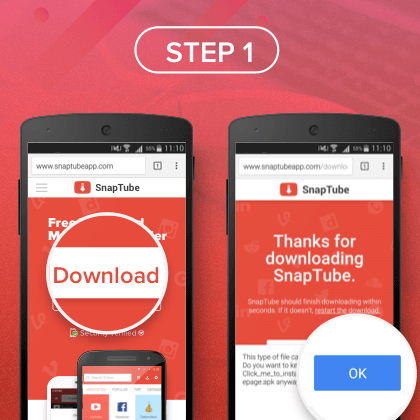 Then you can click the downloaded Snaptube apk to install.